As costs of traveling abroad continue to grow, companies are always looking for ways to reduce their spending. If you travel to the EU on business but do not live in Europe and your company is not established in that country, you qualify for VAT returns on a number of goods and services. These returns can generate significant savings. Making sure you file for the full refund, however, requires a bit of homework. Each country in the EU has its own standards and practices (as well as their own deadlines and minimums). In addition, VAT is usually included in the price of an item or service. There is no VAT-free price you can pay and just skip the process of filing for a return on the VAT you already paid. Making sense of the system can be challenging, especially if you are traveling through a number of different countries in the same trip. Some goods and services are eligible for a refund in some countries but not in others. Fortunately, Way2VAT has published a series of e-books delineating everything you need to know. Keep these handy guides close at hand whenever you find yourself in Europe. With VAT rates hovering around the 20% level (and even jumping as high as 24% in Greece), knowing what is recoverable and what is not can help you make better spending decisions. When it comes to VAT in Europe, it sometimes feels like the system is intentionally complicated. It’s not intentional, but because each of the 28 member states has its own system, it looks more intricate than it actually is. Not surprisingly, more than $20 billion in unclaimed VAT funds are left on the table each year. Most of that comes from the complex procedures in place for those who choose to file for the returns manually. There are language barriers to overcome and close accounting for all the receipts, no matter how small and illegible. 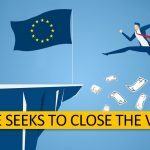 There is also a significant amount of money lost because a company’s budget office was unaware that the VAT paid on Internet costs or laundry spending in Spain, for example, was eligible for reclaim. But don’t try to make that same claim in Portugal. It won’t be accepted. With 28 different countries, there is no single rule that applies across the board on virtually anything, including what can be claimed. However, the majority of European countries grant VAT returns to visitors on hotel and accommodations, restaurants, and conference and exhibition expenses. Many also allow you to claim a return on transportation costs and on the purchase of the special equipment that may be necessary. Telephones are also eligible for VAT returns in most countries but check at the point of purchase just to be sure. 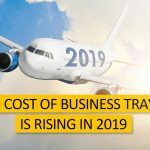 While hotels and restaurants are the big items that virtually any business traveler will need, there are a host of smaller expenses that could add up to big savings. The problem is, there is no real pattern to which items will be eligible in which states. For example, parking costs can be claimed for a VAT return in Greece but not in Malta. Cypress allows groceries, toll fees, train or bus fare, and electronics. Malta also allows groceries, but not parking, train or bus fares. The confusion ultimately leads companies to play it safe and just make claims on what they know will be accepted. Otherwise, they wind up going through a complex process for no benefit. As a result, billions of dollars are left unclaimed. With so much variance from one state to the next, it would take an entire division in your company just to keep track of what spending from abroad can be eligible for a return claim. Basing your travel budgets on anticipated VAT returns could be even more difficult. As a result, bad decisions can creep in simply because of a lack of knowledge. Your company could go through it and learn the hard way – by making mistakes and making adjustments. In the end, experience may wind up being the best teacher. Or you can use an effective digital solution that employs Artificial Intelligence to learn about the different systems and help you navigate through them. Way2Vat is such a system, and if you are traveling to the EU for business, it is simply indispensable in the amount of time and money it saves.